The physical DVD has been discontinued but you can now download a free copy of all the latest material. The download is available through BitTorrent, which is a distributed file sharing protocol. It is perfectly legal to use BitTorrent to share legal material. The full download is about 5.3 GB so it will take a number of hours even with a fast connection. When you have finished downloading, please leave your torrent running indefinitely, if possible. This will spread out the traffic and ensure it remains online. 1. Download and install a free torrent program such as: µTorrent 2.2.1 for Windows or µTorrent 1.8.7 for Mac The default settings should normally be fine. 3. µTorrent will activate and ask you to load the torrent file. Select where you want to save everything and click OK.
4. If it does not connect and start downloading within a minute or so, you may need to check your firewall settings. 5. The status will change from "Downloading" to "Seeding" when complete. 6. 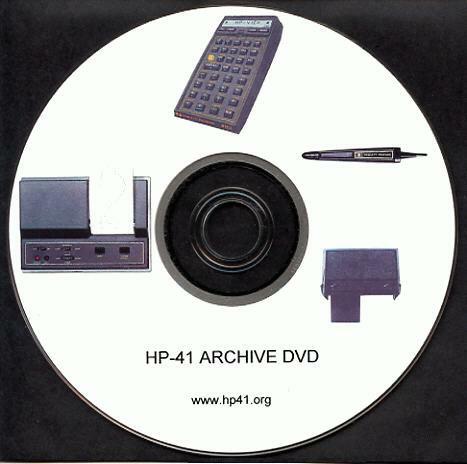 Click on "HP41.html" or just browse the directories. First Torrent Release - May 25, 2016 - Contains everything on this site as of this date except for the archives from the PPC and HPCC DataFile which may be purchased on CD from Jake Schwartz - see links. There may be future updates every year or two depending on how much new material comes in, although none are currently planned.